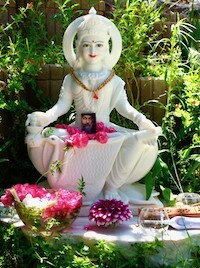 Our holiday seminars take place in selected beautiful seminar houses and are lovingly and very thoughtfully organized. In these holiday seminars you can invite joy of life and creative impulses combined with lightness and consciousness into your life. Dmello’s Guest house with a well-tended garden directly on the sea in a quiet location. 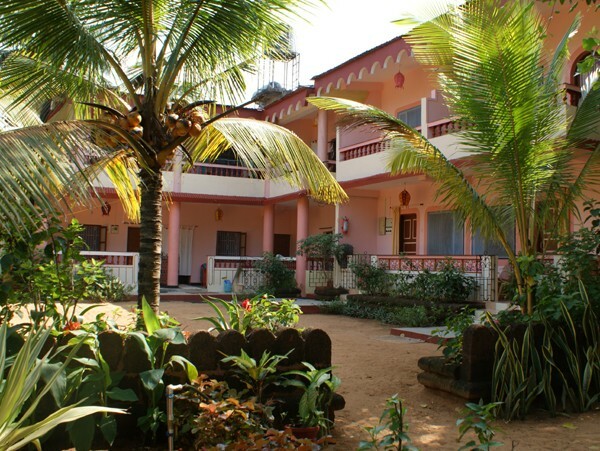 The lovingly run guesthouse on Candolim Beach in Goa on the Indian Ocean is a small paradise with a peach-colored main house that was once an old Goan villa. The seminar room is located in a well-tended exotic flowering garden. It is absolutely quiet, as there is no public street and is just 30 meters from the sea and the on-site restaurant. The service of the house includes a taxi service to all regions in Goa including the airport and the rental of motorbikes to explore the area. In Love and Merci are semi-open special rooms with great sea views and sunsets. 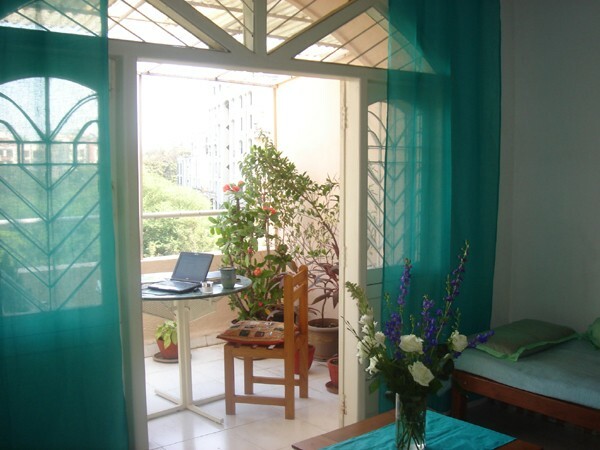 All rooms have a balcony, shower and toilet, they are equipped with simple Goanian furniture and well maintained. The rooms have hot water throughout and are cleaned every other day. 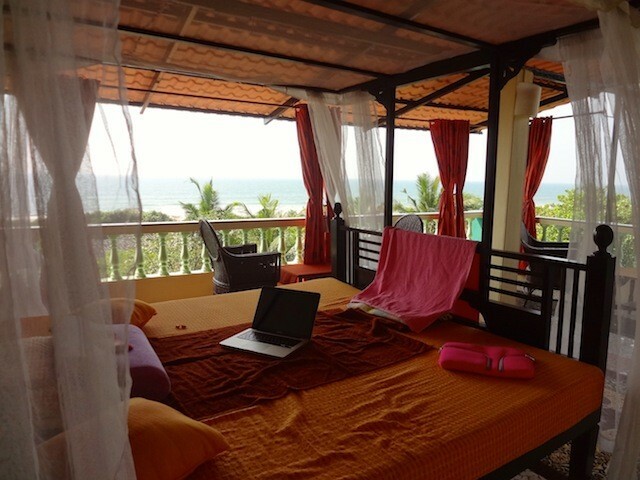 Almost all rooms have a great sea-view and you can comfortably enjoy the beautiful sunset on the balcony of your room. On request, the breakfast is served to your bed and they do not avoid any efforts to make the guests happy and satisfied. In the later annexed house there are beautiful, semi-open rooms with sea views you you get the feeling of being a part of nature and in the evening you fall asleep to the sounds of the sea and in the morning the song of the birds awakens you. 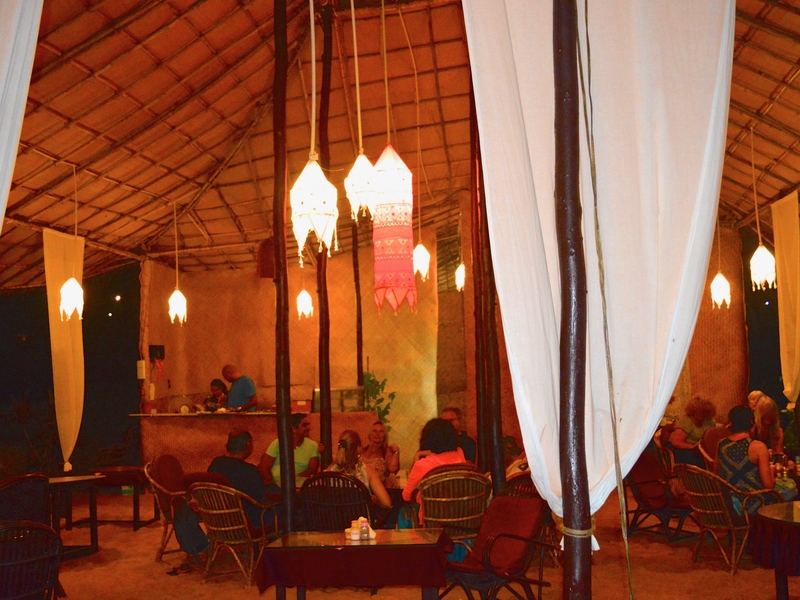 Pete’s shack on the beach with international and Indian cuisine adjusted to western standards. In the on-site restaurant on the beach, you can enjoy excellent Indian, Chinese and international dishes, as well as Tandoori specialties and drinks in wonderful, fresh and pleasant air. There is hygienically well prepared vegetarian food and the freshly caught fish prepared in Indian tandoori is a specialty. On the beach nearby is also Pete’s Shack wit Italian kitchen and great Cappuccino. In both Shacks it’s safe to eat everything including salads and drink fresh juices. Modern and beautifully located rooms in Koreganon Park in Pune. The beautifully located rooms in modern homes are either within walking distance of the OSHO International Meditation Resort or you can take a rickshaw and be there in minutes. There are a few special rooms overlooking the river and with terrace which are surrounded by nature with trees in front of the window. Some of the special rooms are in close proximity to the OSHO International Meditation Resort and you can walk. If you are interested, you should book early. It is also possible to stay on campus at the OSHO Guesthouse for about € 60 extra per night. The OSHO International Meditation Resort has a vegetarian restaurant, serving international and Indian cuisine, which also offers a variety of dishes for vegans. The restaurant serves breakfast from the early morning, lunch and after the evening meeting meditation dinner. The cappuccino bar with snacks and drinks is open almost all day. You can find more pictures of India in the photo gallery.